In the footsteps of Ridley Scott and James Cameron, novice director David Fincher set about to put his own personal stamp on the third installment in the Alien saga. 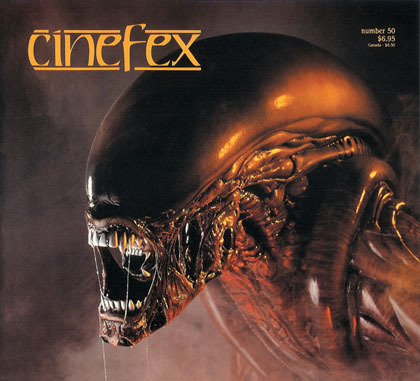 Contributing to the Alien 3 effects effort were creature creators Tom Woodruff, Jr. and Alec Gillis, physical effects experts George Gibbs and Al Di Sarro, and visual effects veteran Richard Edlund and his Boss Film Studios. Intent upon exploring the cinematic possibilities of 'virtual reality', director Brett Leonard and producer Gimel Everett scripted and obtained independent financing for The Lawnmower Man. To infuse their film with a big-budget computer graphics look — without the big budget — they engaged digital effects teams at Angel Studios and Xaos Incorporated to realize the virtual environments.